This month marks our 6 months of marriage! Unfortunately, it also marks the last month for our wedding registration discounts with Crate & Barrel and Pottery Barn. Grrr. I had a few gift cards, so I went online and bought a few things I’ve been craving. It was difficult to decide between what we need and want, but I am SO happy with what I got and I can’t wait for them to arrive! I bought these vases from Crate & Barrel because I love the soft shades of blue and green- they’re my favorite! 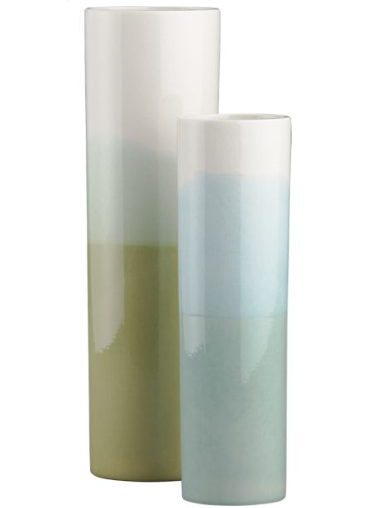 The tall green vase is 14” tall and costs $24.95 and the smaller blue vase is 11.25″ tall and costs $19.95. 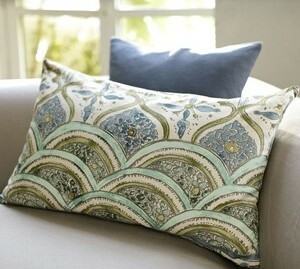 When I saw these pillows at Pottery Barn a while back, I knew I had to have them. I wasn’t entirely sure where I would put them (probably the living room) but I love that they look like a beautiful watercolor painting. They aren’t listed on their website anymore, but luckily I put it on our registry so I snagged one of each. If I could have bought more, I would have. I’ve also really been wanting a standing mixer, so we made a stop in to Bed, Bath, & Beyond. 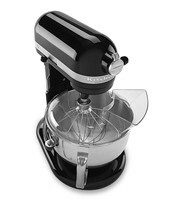 After talking with the manager, my husband ended up negotiating a great deal for the KitchenAid Professional Mixer in stainless steel. Regularly $449.99, we got it for less than $350. Yes, a bit pricey but we do a TON of baking and with such a discount, we splurged. We still have the rest of the month to take advantage of our discounts, but we’ve gone through most of our budget for March. 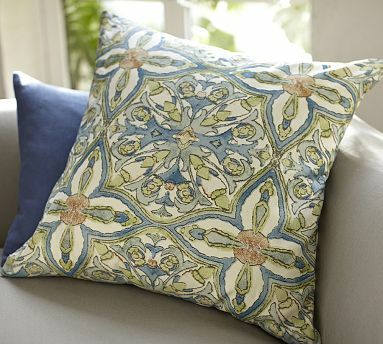 We had $500 set aside for this month (normally, we’ll plan for about $300) for home stuff. Whatever we don’t spend in one month, we’ll roll over for the next month. That leaves us with about $150 for March….but we still have a few gift cards left, so I’ll update you on how everything looks and any new purchases.